Definitive Edition is also available. Champion and Royal Edition is also available. The Hero Edition contains the Base Game. The Champion Edition contains the Base Game, the Digital Original Soundtrack, the Digital Campaign Almanac, a Digital Hi-Res Game Map, the "Making Of" Documentary, Wallpapers, and Ringtones. The Royal Edition contains the Champion Edition and a Digital Novella by Chris Avellone, a Digital Collector's Book PDF, Hi-Res Concept Art, and a Digital Strategy Guide. The "Fullscreen" ingame option is actually borderless windowed mode. Slider for master, music, effects and voice volume. Start command line as administrator, command line can be found at Start menu. Locate font called UNCL and delete it. Return to the command line window and enter command attrib +r +s c:/Windows/Fonts to restore attributes of the Fonts folder. If the game still doesn't start, locate and open game's error.log file. At the beginning of the file there should be list of files with .TTF extension, use guide above to remove these files from Fonts folder. 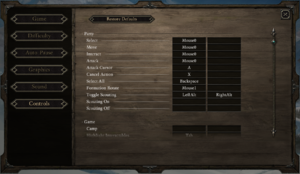 There seems to be an issue with Cage cursor option, where the game is not locking mouse cursor to the game window/screen on multi-monitor system each time player changes location. The game does not support anti-aliasing, forcing AA via drivers will cause undesirably strong image blur. 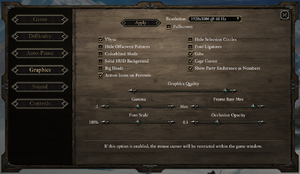 Some Linux distributions have reported that they can't set ultra widescreen resolutions (21:9) in the options menu. Set the resolution to 1280x720 and untick the Fullscreen box. It should now have adjusted to fit your native resolution. It work after restart as well. This was tested on a tiling window manager (i3) and steps might vary depending on the window manager. The auto-save feature cannot be disabled and will save during every area transition. 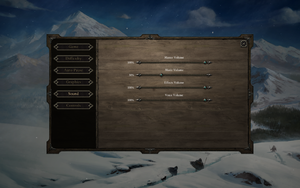 As the game progresses and the save file size increases, this can cause loading times to increase. 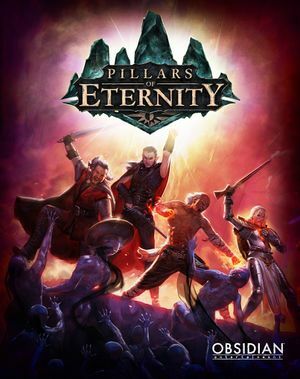 On the title screen of Pillars of Eternity, in the lower left corner is the game's version number. Download IE Mod for that version. Follow instructions for installation of the mod. Run the game, start a new game or load a saved game. Enter the menu and press the IE Mod button. Change Autosave Frequency as desired. Only download the mod made for your current version. There may not be one for your version if you've recently updated. Using an older version can cause the game to crash. This page was last edited on 14 April 2019, at 22:54.